Whether this is your first purchase, you are looking for a retirement property or you are a seasoned buyer or investor our informative and up to date guide below will help you along the way. Whilst we strive to move with technological advances, our old-fashioned commitment to personal service remains fundamentally unaltered. For this reason, one of our advisors will be more than happy to offer personal help and support should you wish to contact us directly. We have a wide choice of houses and flats across the Sittingbourne and Swale area all looking for buyers right now, so before you start your search, it helps to put some thought into exactly what you are looking for. If you are buying to let, think more about tenant demand than your own perspective of the property. Contact our lettings department for professional advice about what is best to buy. A house, flat, bungalow or retirement property? A new or old home? Outside space including gardens, driveways or parking? Room to grow as a family? Somewhere easy to maintain or a renovation project? A property close to local amenities or something a little more remote? When buying a property, it is likely that you will own the place for a while so location is extremely important. Make a list of the areas that appeal to you and take some time to have a good look round during the day and in the evening. Our website has been designed to give you comprehensive information on the local area mapping schools (also giving grades and statistics), shops, bars and restaurants, hospitals and even your nearest gym. With more and more of us traveling further a field to work and school, access to good transport links is becoming increasingly important. Do you need easy access to the motorway or a mainline rail station? These things should all be considered and can easily be viewed on the transport tab of our property particulars. Looking at mortgage options as early as possible or better still, getting a mortgage offer in principle before you start your property search will save you time when you find your ideal home. When the ideal property does come along, you will want to act immediately so get your finances sorted as soon as possible. Quealy & Co Financial Services has access to a range of mortgage products as well as exclusive deals and rates to ensure you have the best mortgage available. For professional help and advice with applying for a mortgage, contact Andy Myers Rodwell on 01795 429836 or call in and see him in our office. As soon as your mortgage is sorted, one of the first steps to finding your dream home is to register your details with us either by calling on 01795 429836 or dropping into our office on the corner of Park Road and West Street in Sittingbourne. 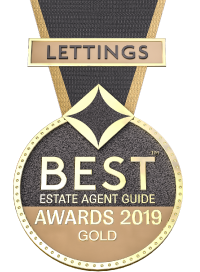 Once you have shortlisted your favourite properties, contact us to arrange viewings at a time suitable to both parties. Our offices are open from Monday to Friday 8.30am to 6.00pm, Saturday 9.00am to 5.00pm and Sunday by appointment only. We can arrange to meet you at the office or at a particular property and will accompy you on all viewings to empty properties to ensure that we are on hand to answer any questions. After you have found the ideal property and are ready to go ahead, let us know your offer as soon as possible so that we can contact the seller. We will inform them of your offer both verbally and in writing, stating any special conditions. At this stage, we will need to know what financial arrangements you have made if you have not taken up an offer of advice from Quealy & Co Financial Services. The seller may take some time to consider how ready you are to buy i.e. have you found a buyer for your home, can you afford the property (you may be asked to provide evidence of your mortgage approved in principle) or can you move in a time to suit their needs? Having carefully considered all of this, the seller will hopefully accept your offer. There are no legal obligations on either side until the contracts have been signed. Your mortgage advisor will also go ahead with your formal mortgage application to check that your lender is willing to lend on that specific property. It is at this stage that you will need to instruct your solicitor to begin the legal process of your purchase. If you do not already have a solicitor in mind, Quealy & Co offer a range of conveyancing solutions which vary from client to client, house to house and price to price. Please contact us to discuss your requirements and we will propose the most suitable solution for your needs. To ensure you are not borrowing more than the property is worth and to advise on any structural problems, your mortgage lender will arrange for a survey of the property to be conducted by a qualified surveyor. Once the survey is complete and your mortgage company has received the mortgage valuation report, they will send both you and your solicitor a formal mortgage offer, including details and terms of the loan. Exchange of contracts occurs when all enquiries have been confirmed and agreed. Both parties are required to sign the contract and you must pay a deposit to your solicitor. A date for completion will also be agreed. This formal exchange agrees the terms of the sale and makes them legally binding on both you and the seller. This means that your deposit is not refundable should you change your mind and equally that the seller is obliged to sell to you at the agreed price. You should start thinking about the practicalities of you move – removal companies, storage, buildings and contents insurance, notifying utility companies etc. before exchange of contracts. The completion date is the point when residual monies are transferred from your solicitor to the seller's solicitor and the property legally changes hands. Once we receive confirmation that the monies have cleared in the seller's account, we will release the keys and you are free to move into your new home!